Daviess County, Ky., Judge-Executive Al Mattingly says he will introduce an ordinance to Fiscal Court next month that would prohibit the commercial use of golf carts or other low-speed utility vehicles for delivering packages or mail. The ordinance, which officials said would likely be passed jointly with the city of Owensboro, Ky., might form a local response to a new statute Gov. Matt Bevin signed into law in April which permits such vehicles on public roads in residential areas. House Bill 404, sponsored by Republican Reps. Sal Santoro of Florence and Mark Hart of Falmouth, caught the attention of the UPS Inc., which operates its global operations center in Louisville. As of June, UPS officials said they plan to take advantage of the loosened regulations in more densely populated areas of the state. UPS Inc. ranks No. 1 on the Transport Topics Top 100 list of the largest North American for-hire carriers. Public use of utility vehicles on Daviess County streets and roads is already illegal without special state licensing. 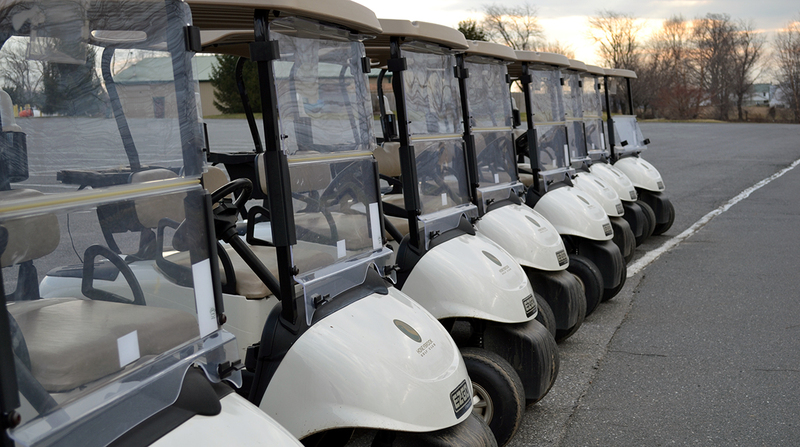 Mattingly said it may be harder to enforce the use of golf carts or all-terrain vehicles among the general public if it is permitted commercially. The new law would require a company to give local government at least 60 days’ notice before it began using low-speed utility vehicles on public roadways. Plus, it puts strict guidelines on the types of vehicles that can be used and the packages they can deliver. Still, Mattingly said, if local government is united on the issue, it is better to act swiftly now. UPS officials have told The Wall Street Journal that carts they plan to use as early as this year during the peak delivery season in Louisville would be stored in street-level portable storage units accessible to local drivers who would use them within neighborhoods and small communities. Technically, state law already permitted golf-cart-driven commercial package delivery in at least some communities. Cities like Livermore in McLean County permit golf carts for street use among the general public. It’s unclear whether UPS or other delivery companies have any intentions of moving their newfound utility vehicle practice any farther west in Kentucky. Company representatives were not immediately available for comment the evening of Sept. 21.